This photo is a real work of art – the sort of thing I would love to have displayed on my wall. But there is plenty where that came from. 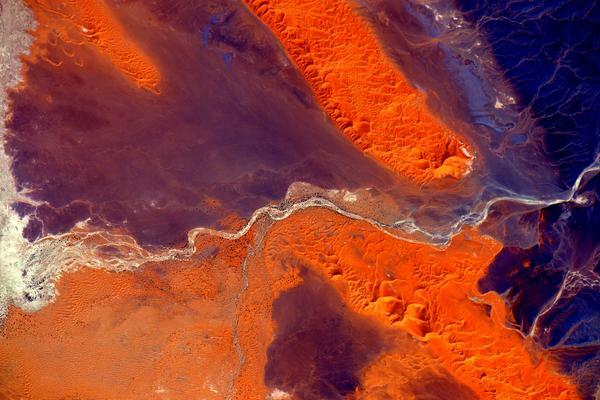 It is one of the photo’s taken by astronaut Scott Kelly from the International Space Station. 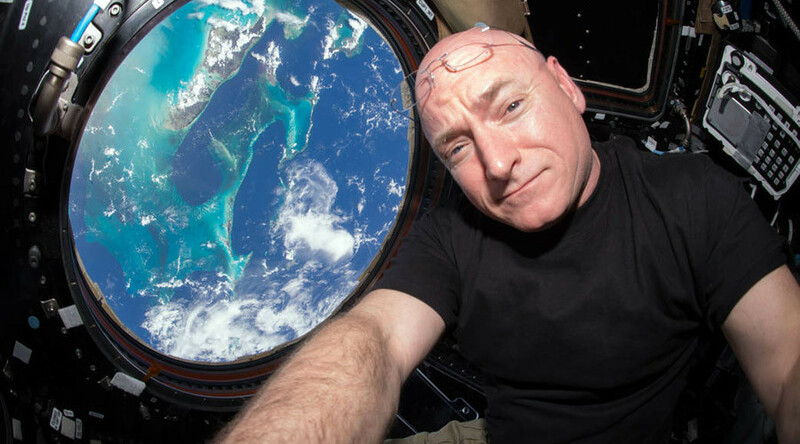 He lifted off from Kazakhstan on March 27 and is scheduled to return to Earth on March 3, 2016, after spending a total of 522 days in space, according to NASA (this is his 4th mission). 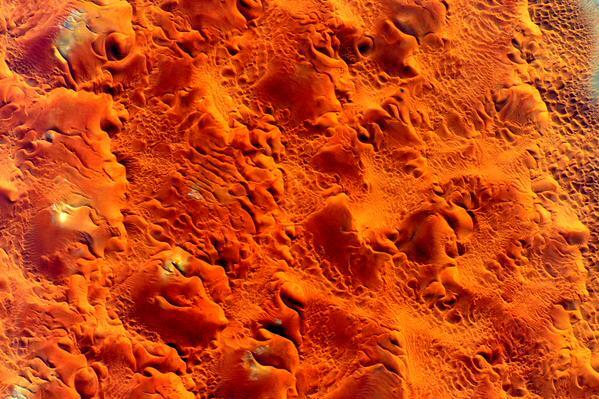 The photos here are from a series Scott took of the Sahara desert. 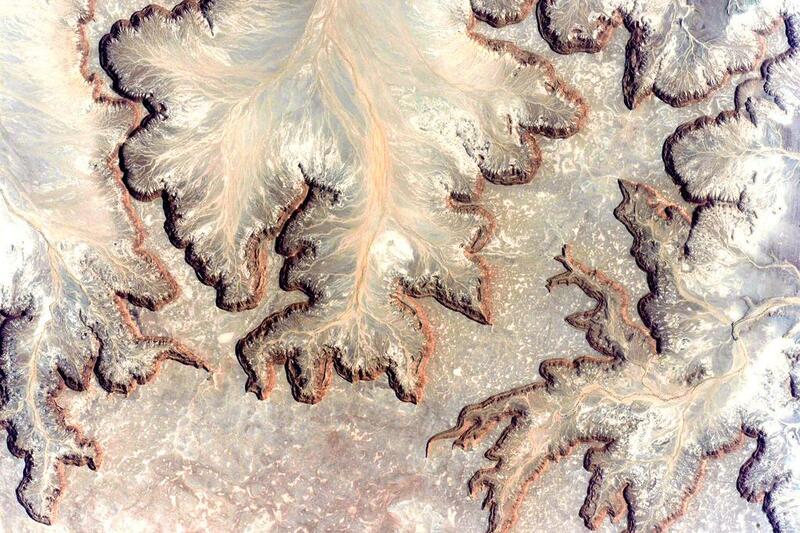 Really beautiful works of art. 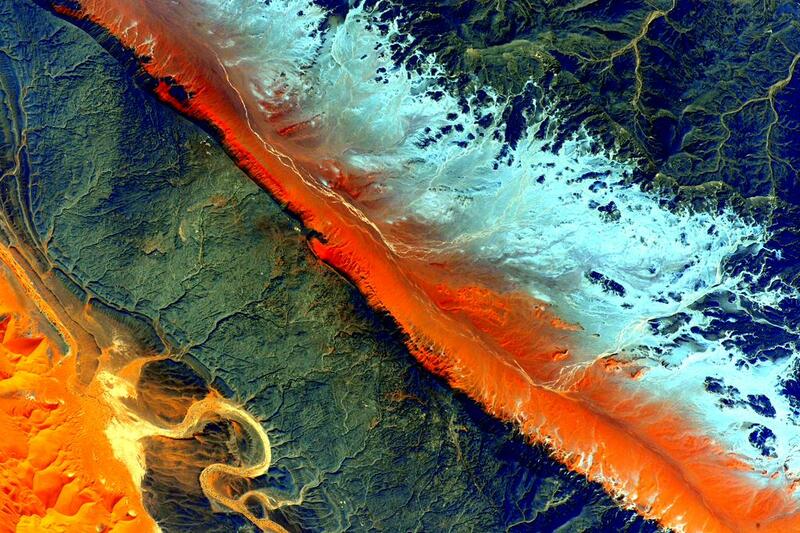 Follow Scott Kelly on Twitter (@StationCDRKelly) for more of his brilliant photography from space. Many people have probably just become aware of Canadian astronaut Chris Hadfield in the last week because of his musical video Space Oddity that went viral. It might be hard to find anyone who has not watched that video. 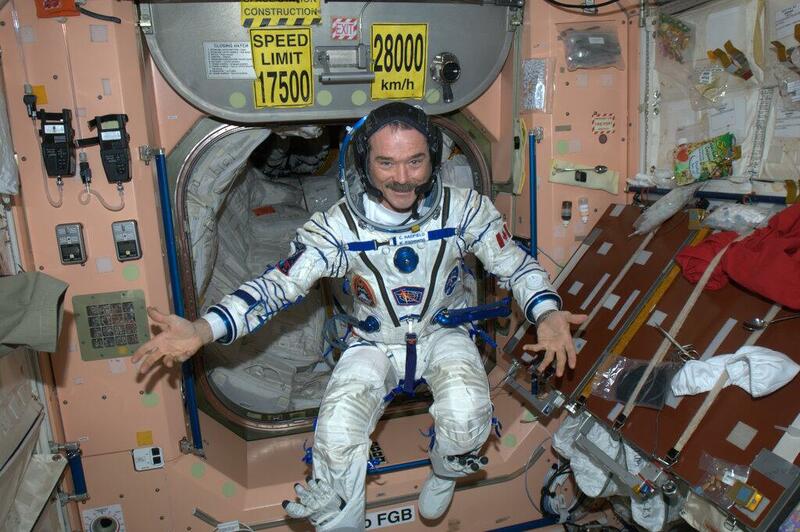 However, Hadfield has starred in many videos from the International Space Station – sometimes singing but more often introducing viewers to interesting facts about living in a zero gravity environment. This video is a very short (90 seconds) mashup of some of these. 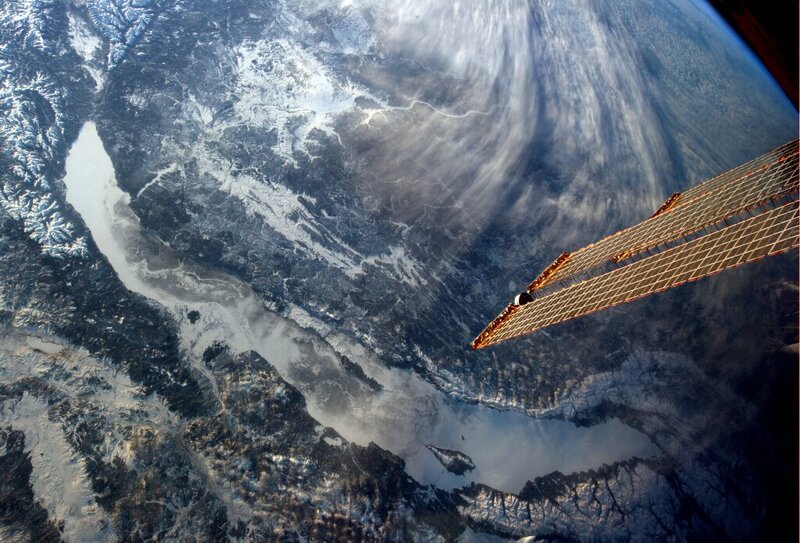 Thanks to Chris Hadfield’s 5-month Space Mission in 90 Seconds – Ontario Stargazing. I think it demonstrates the sort of high-tech world we now live in – high connectivity, immediate information transfer and amazing technology. 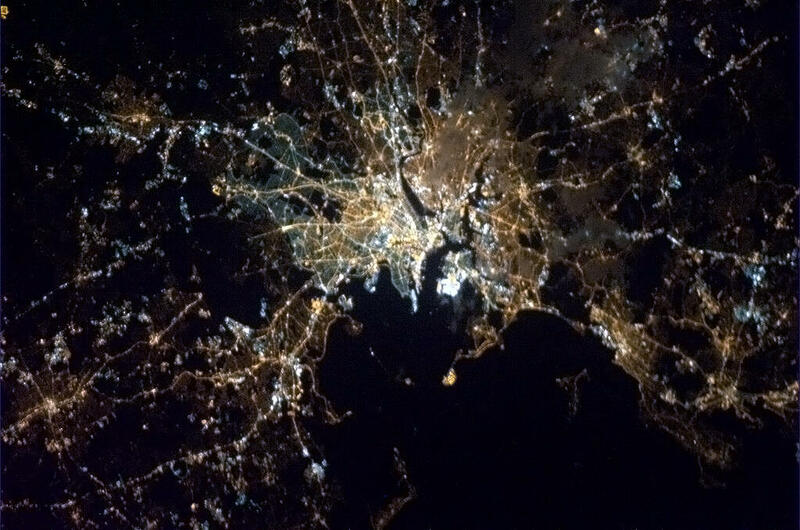 We have astronauts in near earth orbit tweeting condolences and images in response to the bombings at the Boston Marathon. But the bombs themselves probably also relied on the technology of cell phones for their detonation, even though they may have been relatively primitive devices themselves. 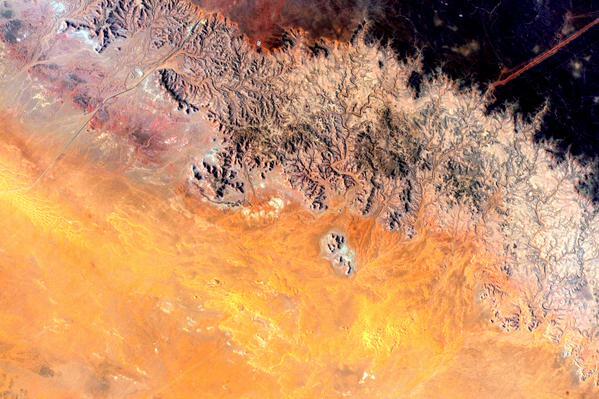 On the other hand, authorities quickly closed down cell phone communication – maybe preventing further detonations. And they are investigating records of cell tower transmissions – hopefully this will give them leads enabling rapid arrest of the perpetrators. Technology – it’s a mixed bag. It can be used for evil as well as good. The other thought this atrocity evokes in me is that our technology and culture seems to restrict our empathy to the “first world.” The world we see everyday on our TVs. Inevitably we wear cultural blinkers. What happened in Boston today happens regularly in a number of “third world” countries, and we hardly hear about those events. Meetings, markets, churches, mosques and other places humans gather together are regularly bombed in a number of “third world” countries. Just in the last few days dozens of people were murdered in Iraq in this way. Wedding parties are bombed in Afghanistan and Pakistan. Sometimes these people are “collateral damage” – victims of invading or intervening countries committing acts of war. More often they are people purposely targeted in terrorist acts committed for religious, ethnic or ideological reasons. Whatever – innocent people around the world are regularly killed in such hateful attacks – and we hardly notice. So, while I react with an understandable grief and anger at the shocking waste of life and widespread injuries in Boston today, these feelings are tinged with guilt. I felt the same way when I reacted to the terrorist attacks in New York on September 11, 2001. Even today, when I hear or read the term “9/11” I inevitably think of another “9/11” – the bloody coup which overthrew democracy in Chile on September 11, 1973. A coup which lead to the torture and murder of thousands of Chileans. No, I am not critiquing people for this inevitable cultural blindness. I just wish the great technology we now have would do more to make us realise we are all in this together. That it would more quickly break down the cultural barriers which cause this blindness. 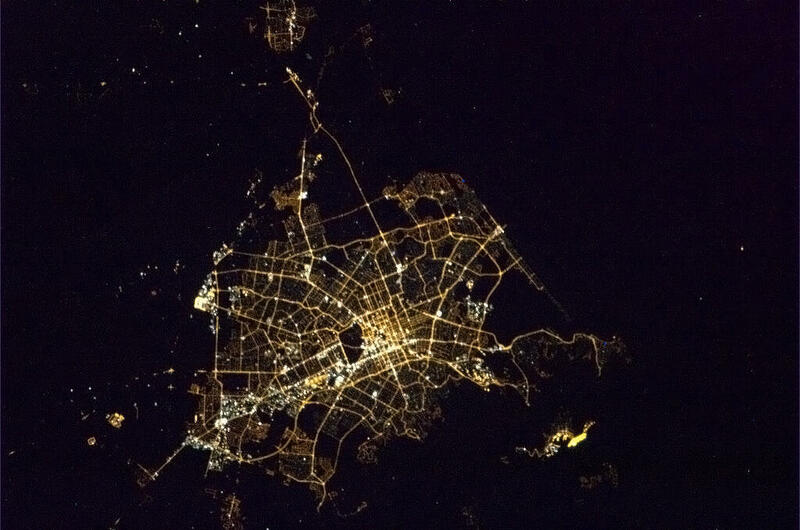 This recent photo of Christchurch from Chris Hadfield now on board the International Space Station appealed to me. It seems to have quite wide coverage – but here it is for readers who have not yet come across it. (Click to enlarge). 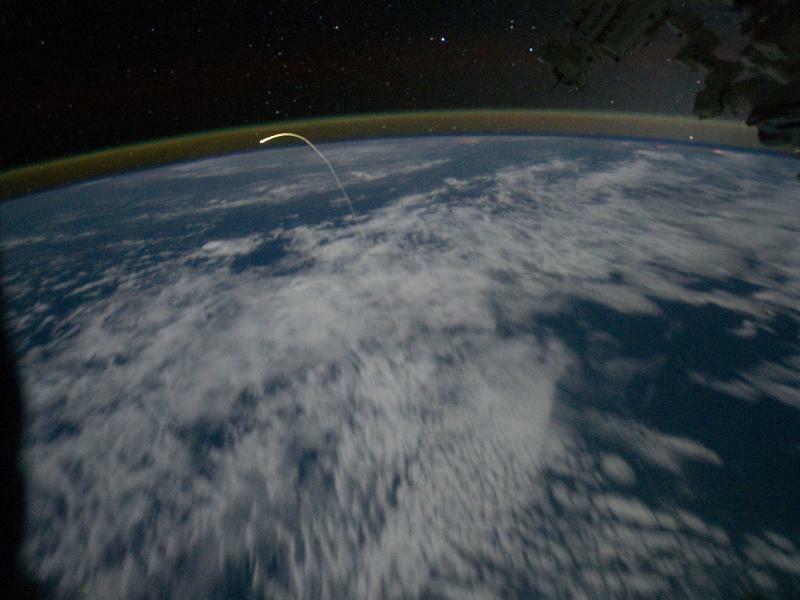 I have enjoyed watching live the launches and landing of the manned space vehicles going to, and coming from, the International Space Station. The Shuttle launches were always dramatic. 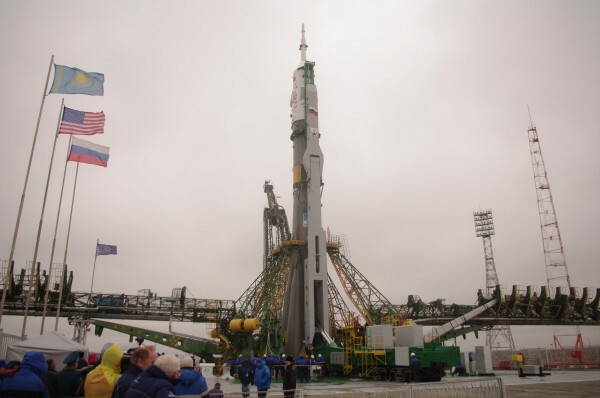 The gliding landings of the Shuttle and the parachute assisted landing of the Soyuz vehicles had their own suspense. But something I really missed was on-board video of the astronauts during Shuttle launches and landings. In contrast we always got views of the three cosmonauts aboard the Soyuz craft during launching. But very rarely anything showing the far more complex flight deck of the Shuttles. I suspect this had something to do with secret technology. 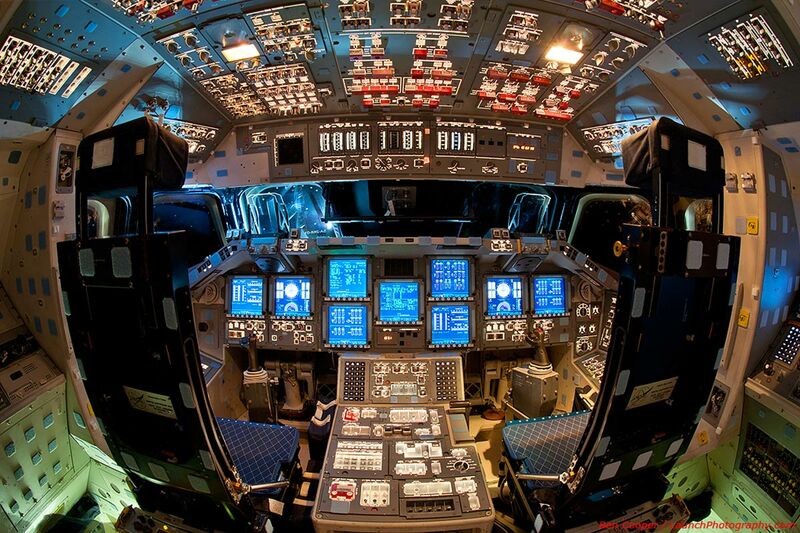 So it was great to find these great photos of the flight deck of the Space Shuttle Endeavour (see Amazing! Must See Shuttle Flight Deck Photos). This was fully powered for one of the last times before it was retired. 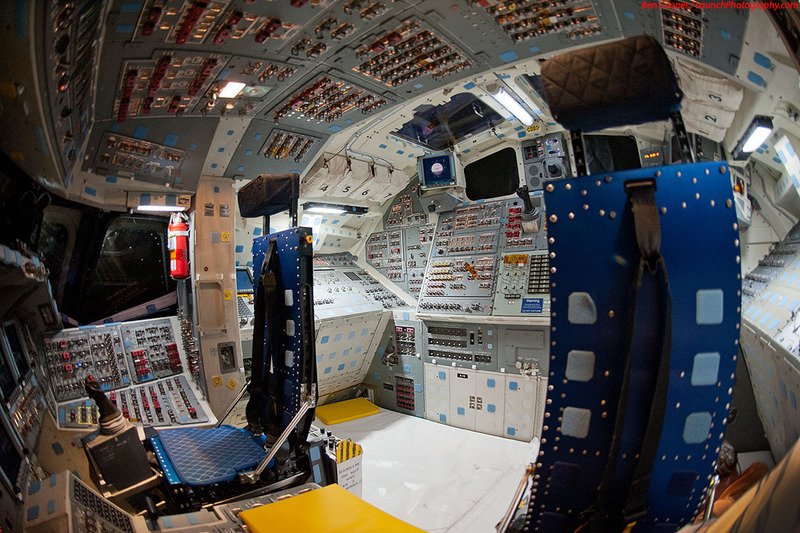 Another view – just imagine having to know what all those switches and knobs did!